Released just a month ago, the Adidas Gloro is a boot that has already created quite a stir on the market while ruffling some influential feathers. The feathers would be those of Nike, with the Premier being the boot that won’t be too impressed with their release. Mind you, there are also some Adidas boots that won’t be happy to see these either! Not only do these boots have an ultra classic appearance in a modern shell, but they also feature the “return of the tongue” and that has immediately increased the interest from heritage fans. But given their more modern performance, there is also a new wave of players out there who be intrigued by what the retro style release has on offer. We’ve been running them through their paces over the past few weeks, and the results have been pretty conclusive. If you are only here to find out “how do they compare to the Nike Premier” we have you covered below! The Adidas Gloro is available from soccer.com. We were wondering when or where Adidas would release a new boot to compete with the Nike Premier. As much success as the Copa Mundial has seen, their general performance doesn’t compare with modern materials and technology. Adidas has taken an impressive, yet simple approach, by keeping the design simple while introducing that iconic fold over tongue. What a glorious boot to take out of the box for the first time – the upper and soleplate are gloriously designed and pieced together in a pitch perfect “comfort” package. On top, you get a buttery soft K-Leather upper that is set to impress even the most hardened synthetic microfiber fans. Adidas use a classic style cross stitch that mimics the Copa Mundial and it allows the K-leather to naturally stretch across your foot. This means a comfortable fit through the break in period and the opportunity to stretch for players that need a little extra room. 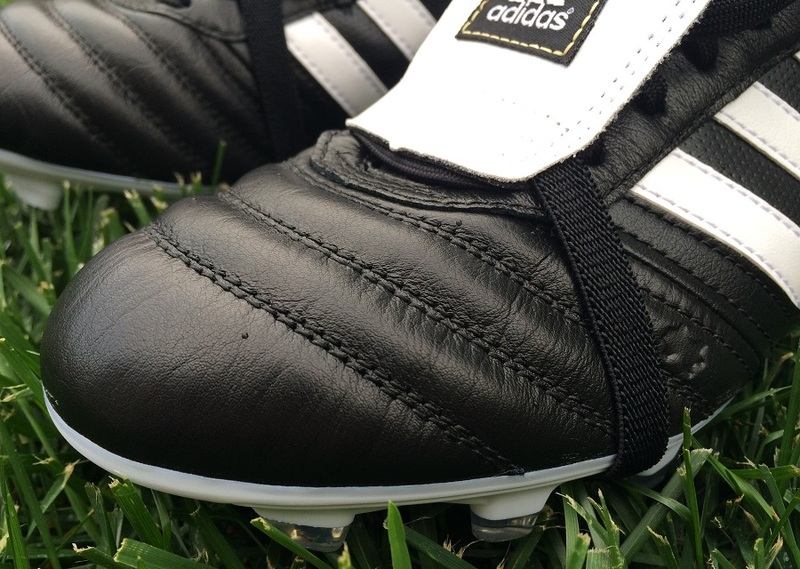 On key areas of the boot, Adidas use what has long been touted as the top material on a boot – K-leather. We haven’t been given a piece-by-piece breakdown on each individual piece of the boot, but the focal areas feature the touted material. Take the forefoot, which balances touch and control in a very positive fashion for multiple styles of players. That is a key aspect of this boot – its ability to transcend successfully right across the pitch. Having worn them several times, you can see the gentle creases created by the break-in period across the buttery soft upper. On the ball, you get such a natural feel, something you can’t fully appreciate with any synthetic microfiber material. The stitching across the forefoot also creates some light padding that proves useful as you strike the ball. They are not the perfect shooting boot (in terms of adding a little extra pop or rebound) but they match up well against the best heritage boots on the market. Adidas bring it back strong on this one and it brings back fond Predator memories of days done by! 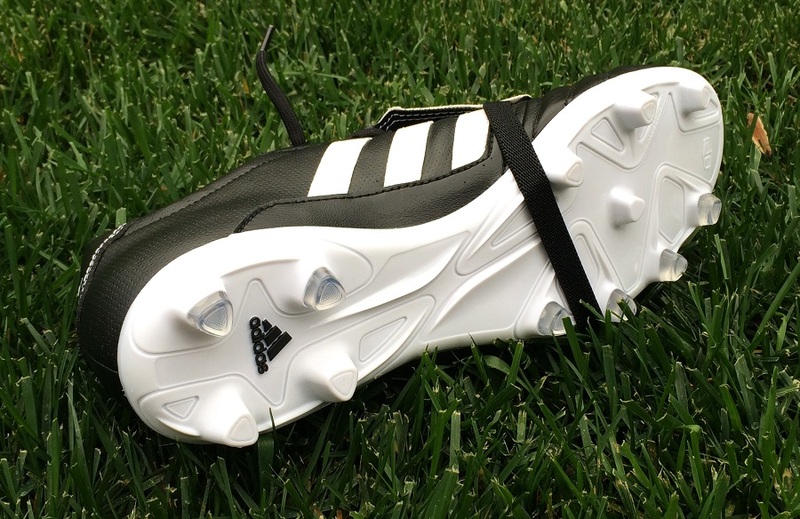 Something that fans have been calling for is the return the tongue, and Adidas has listened. Its construction and placement is pitch perfect – as long as that elasticated strap doesn’t snap. It is stitched in well and has a very durable feel about it, so I’m pretty confident there won’t be many issues reported with it. 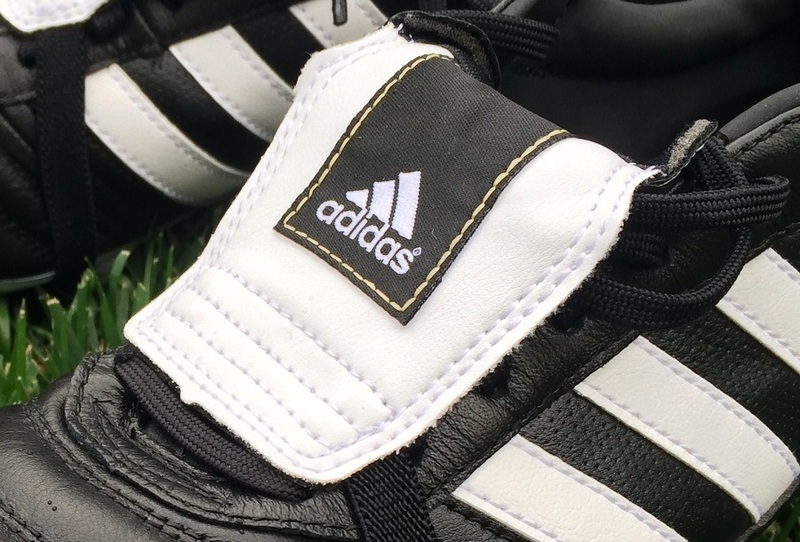 Adidas allows for it to wrap under multiple spots on the soleplate, ensuring players can create their own style. 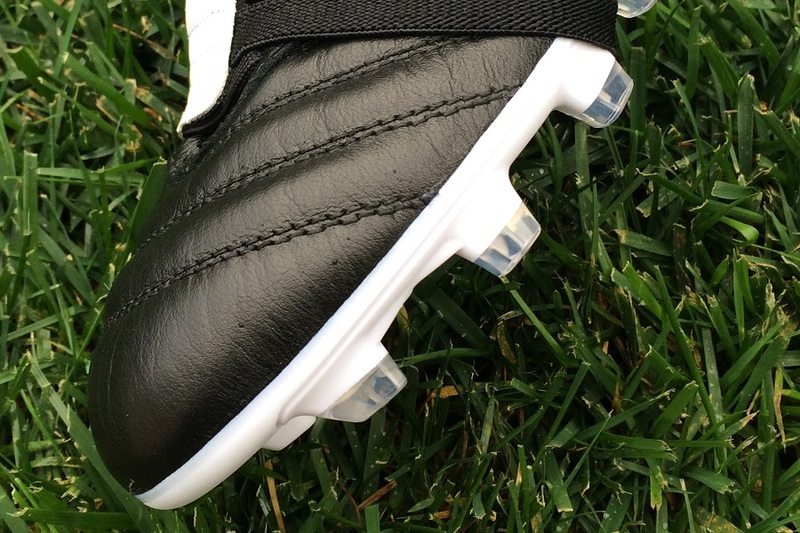 When in place, it looks ultra classy and is a key feature of why these boots are so special! 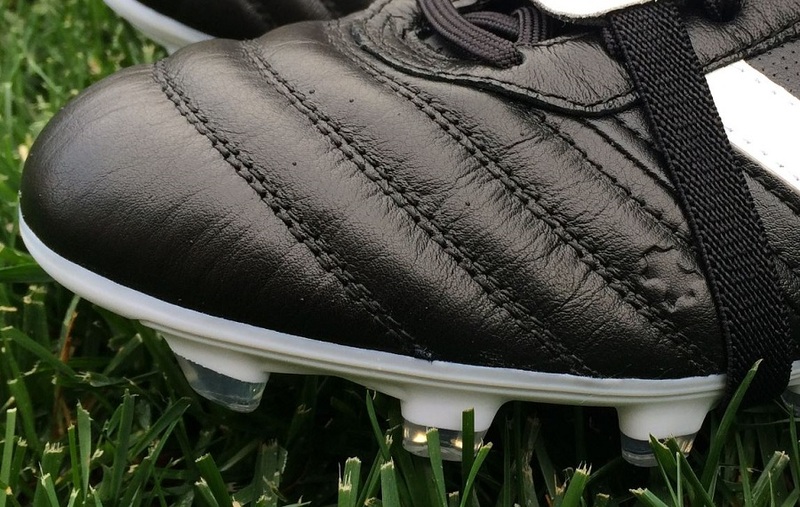 What really differentiates these from the Copa Mundial is the super upgraded soleplate. We recognize the Copa as one of the most consistent boots on the market because of the entire system that has been in play since the 70s. Adidas has dramatically switched things up with one of the most modern, comfort style soleplates on the market. It easy flexes in all directions (yes – they stretch in similar fashion to the Puma evoPOWER!) while providing solid footing. What is especially impressive is how you can twist them through the midfoot, yet they stay completely steady as you look to bend them. The actual studs come in a triangle shape, with 7 studs positioned around the edge of the forefoot and one in the middle. On the heel, you get 4 studs. The entire system is perfect for FG surfaces and can be worn with confidence on AG. If you need a crossover boot, they are very accommodating. Gloro vs Premier; Who Wins? Adidas has released the Gloro with intent to dislodge the highly regarded Nike Premier; a boot that shot to fame only a year ago as Nike looked to take a chunk out of Copa Mundial sales. That plan worked extremely well as the Premier became a firm fan favorite. 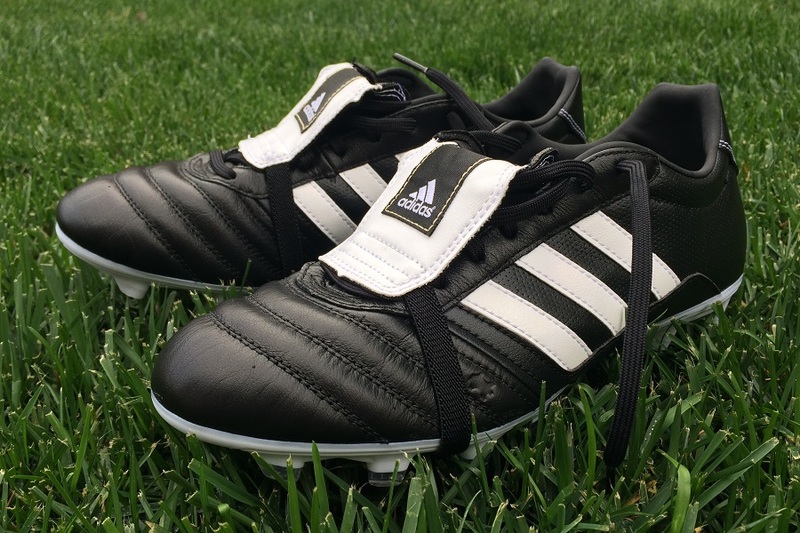 In return, adidas has created their own masterpiece that is set to satisfy the desires of players in need of an updated Copa Mundial release, and initial reaction has been very positive. Which boot is better? Well, that is completely down to personal interpretation. Some players will go Adidas, others will go Nike. From experience, I can tell you that both perform extremely well and you have to give both brands props for what they have produced. There is a much more simple feel to the Premier, with a flat white soleplate and traditional round studs. The Gloro, on the other hand, has a little more flair with the triangle style studs and that fold-over tongue. If you needed more personal insight on which is “better”, I’d have to go with the stud shape and traction of the Premier with the iconic look and feel of the Gloro! Copa Mundial, 11Pro and Gloro! At this stage, we are starting to see a clearer picture of what adidas are looking to do with their range of boots. Given that the Gloro has been released as a modern version of the Copa Mundial, it leaves a question mark hovering over the 11pro series. 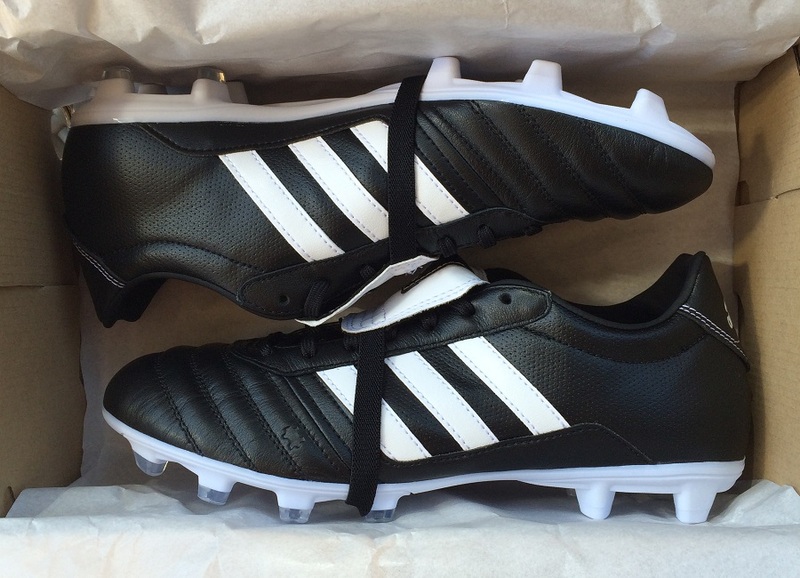 Wasn’t the 11pro the modern version of the Copa? 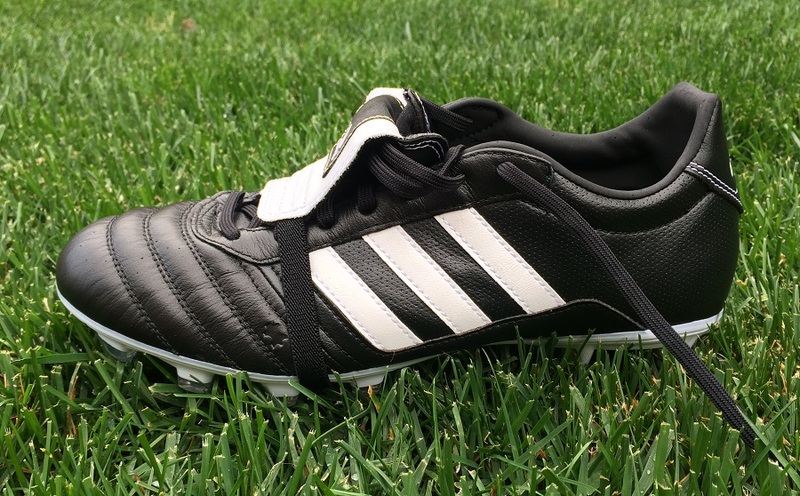 When initially released, the adiPure was, and it was a very suitable replacement. But over time, and lets be honest here, Adidas has over complicated the range with unnecessary technical upgrades and the name “11pro”. As a result, the range is set to be retired and the Gloro will hold ownership of the modern heritage title. Adidas hasn’t messed around with this one, sticking to a size that mimics the likes of the 11Pro, Nitrocharge and Predator Instinct. In fact, they feature the same comfort soleplate found on the 11Pro series, so the fit is going to naturally be very similar. For players the require some additional space through the forefoot, rest assured in the knowledge that the k-leather has some stretch and will accommodate a wider variety of players. Is there room to have critical comments about these boots? Given their price and purpose, there really shouldn’t be. 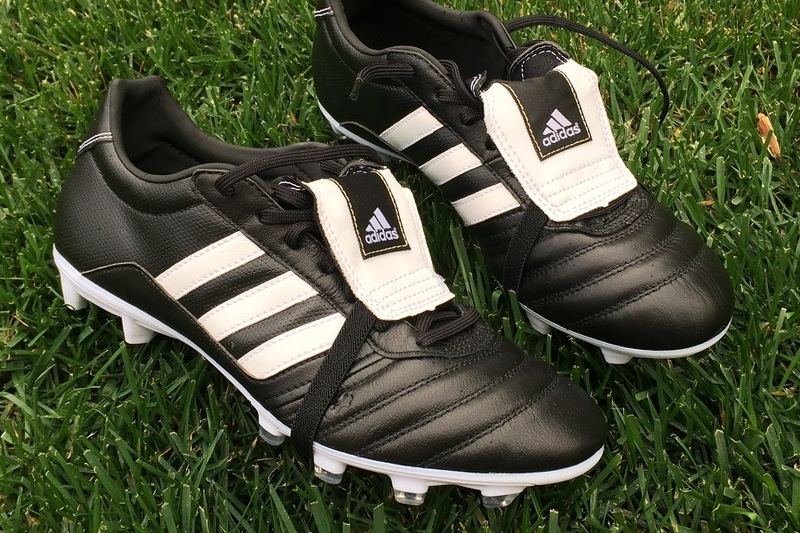 Adidas set out to create a classic boot that would challenge the market long term, without need for upgrades or replacement. And they have achieved that. My only note is that some of the stitching has come loose and I’ve had to trim them with a scissors. This could be related to tackles and general wear and tear through play, but it is worth keeping an eye on and referencing in case other players experience something similar. You can find the current line-up of Adidas Gloro at soccer.com. Highlight: Adidas create a modern take on the Copa Mundial, using a K-leather upper and comfort soleplate, intended to be a mainstay on the market. Category: Heritage, in the most modern sense of the word. Would I Buy Them: Yes, without a doubt. This is a classy boot that has a whole lot to offer to the market. Player Position: They have a hybrid feel, so I’d pretty much recommend them to anyone that wants to wear them. HIGHLIGHTS: Adidas create a modern take on the Copa Mundial, using a K-leather upper and comfort soleplate, intended to be a mainstay on the market. is there an SG-version coming? I tried these on as well as the 11pro yesterday. I ended up purchasing the 11pro because I was afraid that the Gloro would over stretch and get "floppy" after a couple of wears. 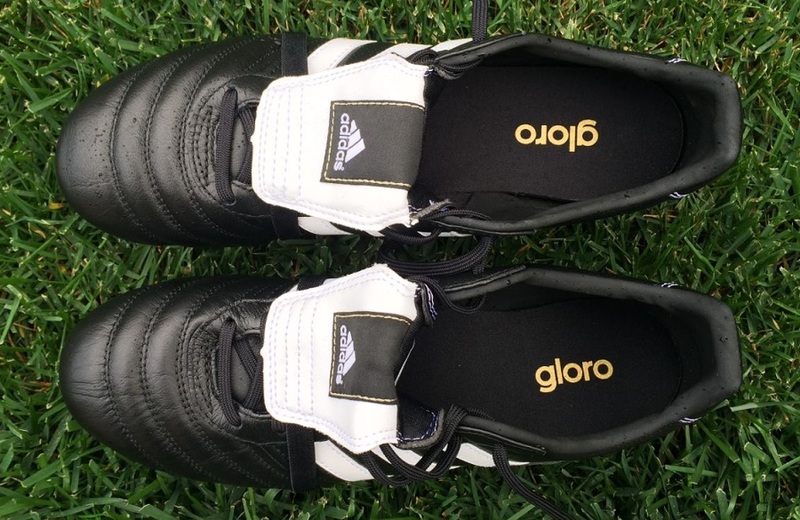 The Gloro is an extremely comfortable boot though. I think I'll get a pair, I just want to wait to get reviews from people that have had them as their main boot and worn them for a while. Thanks for the review Bryan! Also, on a style note, I have at times wore the tongue with the strap up around the ankle/calf showing the underside of the tongue with the huge 'GLORO' letters. I'll claim to be the first person to do that since I have yet to see it anywhere. Haven't heard anything about an SG version and I wouldn't anticipate there will be. Adidas trying to keep this one simple! I just tried it, lol. Sits surprisingly flush on your ankle! Would they be good for very wide feet.